There has never been a more promising time to transform human health than now. We are preparing the next generation of health-care professionals, creating new treatments and therapies with innovative medical research, and improving health and saving lives in our communities, and around the globe. 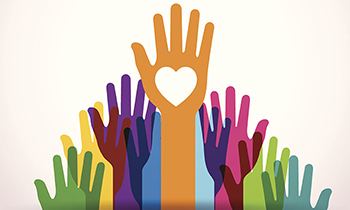 Philanthropy — giving by individuals and families, organizations, companies and institutions — fuels our progress. It is crucial for the expansion and acceleration of our impact and critical to the transformation of health and health care in Arizona and beyond. of our subspecialty divisions — or to the department itself. 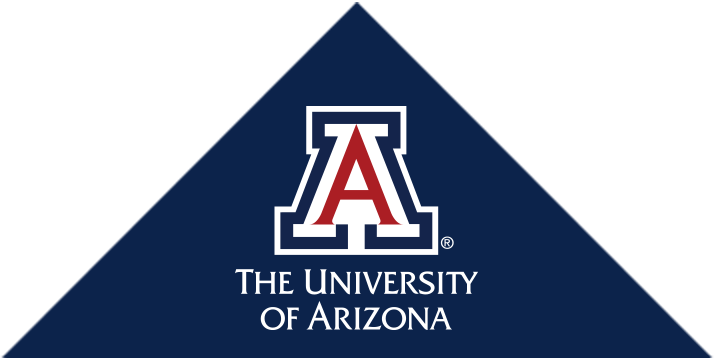 Donating to the University of Arizona Department of Medicine is an easy way to contribute. Your support — large or small — can make a big difference in medical education, patient care, and groundbreaking research. Become a part of the team that is working to improve lives and health by finding out more about donating today! For more information, please contact the Office of the Chair for the Department of Medicine at (520) 626-6349. General donations can be made by check payable to The University of Arizona Foundation and mailed to my address below. All donations are tax deductible. If you are a major donor interested in naming a program or endowment, I would be happy to discuss it with you personally. While there are many general needs within the UA Department of Medicine that undesignated giving serve to support, we have many ways in which you can specify how your gift is used. One manner in which you can help us augment our mission of teaching and training of the next generation of physicians and medical researchers in Arizona is by designating your gift to the Bressler-Alpert Society Travel Assistance Fund. 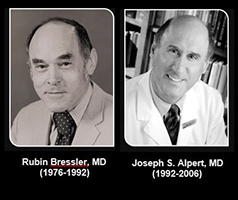 This fund—which honors Rubin Bressler, MD, and Joseph Alpert, MD, both former chairs of our department—serves to provide funding that allows Internal Medicine residents and fellows in the UA Department of Medicine at the UA College of Medicine – Tucson attend conferences, seminars and other medical professional events. They may be presenting papers or abstracts of which they were a part, had posters accepted for display, or be participants in various academic competitions. Regardless, your support helps broaden their education beyond the walls of our department, college and university. To donate to the fund, use this UA Foundation link! To learn more, please write, call or email our office using the above contact information or click here. For more giving options, explore the UA Health Sciences (UAHS) “Colleges & Centers” webpage at the UA Foundation website here. You can also contact the UAHS Development Team to learn more about how you can join this transformation with your contribution on behalf of the UA Department of Medicine. Give Through Payroll Deduction — UA Cares is the University of Arizona's annual workplace giving campaign, providing UA employees with the opportunity to support UA services and programs, as well as the broader Tucson community. The annual campaign runs for six weeks, beginning in early October. During this time, UA employees are able to sign up for payroll deductions through UAccess. To sign up for payroll deduction outside of the official campaign dates, please contact the UAHS Development Office using the above information.